Walker Marine Services Ltd was formed on the 1st April 2008 after re-branding from his originally owned company of Cunningham Lindsey NZ Ltd. The new company has grown in stature within the Marine industry in New Zealand. Walker Marine Services Ltd is solely owned by Steve Walker. Steve has vast experience with 17 years as a sea-going officer in the Merchant Navy in both the United Kingdom and South Africa, rising to the rank of Chief Officer. 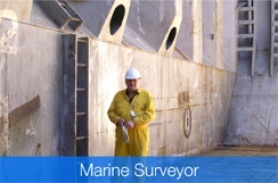 He also has 25 years experience as a Marine Surveyor. His surveying background starts with the lack of promotional prospects in the Merchant Navy which prompted him in 1987 to become a “landlubber”. 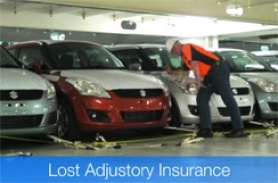 After a short stint with an insurance company he joined a firm of Marine Surveyors in Durban, South Africa. After two years he was successfully approached by SGS, a leading Survey and Inspection company with their head office in Geneva, Switzerland. 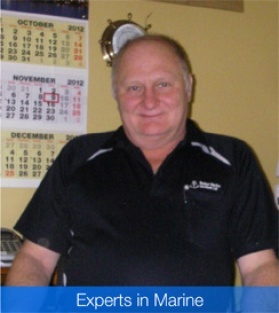 Steve was employed as assistant branch manager and lead surveyor in their Durban branch. He took charge of the Agricultural, Marine and Mineral divisions within the company becoming Divisional Manager of all three divisions. Steve spent 15 years with SGS and decided, after several senior managerial changes, to leave the company and join a smaller surveying company in Durban, with a view to expanding his knowledge of other types of surveys. This proved to be a good decision with more knowledge of loading and discharging being undertaken. Steve covers surveys throughout New Zealand including ports such as Dunedin, Bluff, Port Chalmers, Picton, Nelson, Wellington, Auckland, New Plymouth, Napier and is based in Christchurch. He also covers Australasia. Walker Marine Services Ltd are pleased to announce that, due to expanding business, we have taken on a new employee. 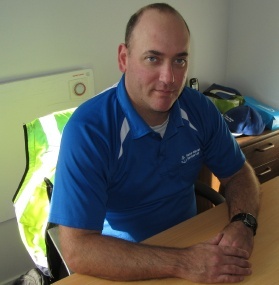 Mr John McCarrison has joined the company and has been training in all aspects of the Marine Industry. John spent most of his years in the hospitality business and had been assisting on a part time basis until his permanent employment in July 2014. Since joining the company, under the guidance of owner Steve Walker, he has continued to learn the industry and has become an integral part of the company. © 2019 Walker Marine Services Ltd | MiniWeb - product of Pinnacle&Co. Ltd.